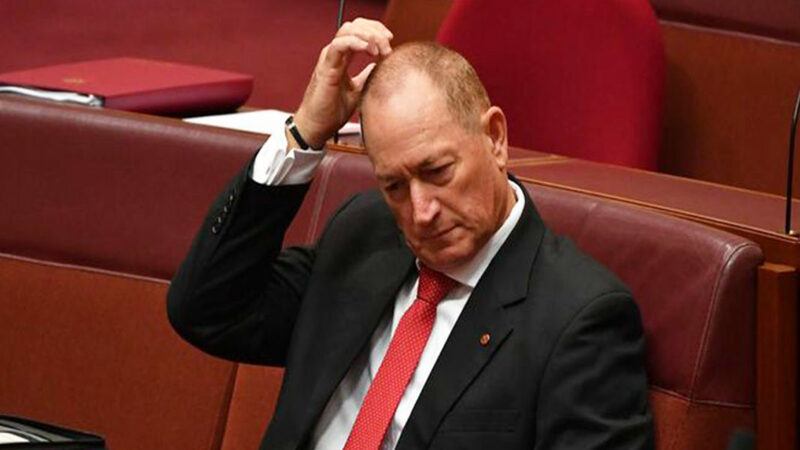 Independent Senator Fraser Anning has admitted that he’s misjudged Australia’s attitude toward foreigners and minority groups. But after being censured by the senate today for his controversial anti-Muslim comments following the Christchurch massacre, Anning has told Double Bay Today that he got it wrong. Anning also says he’s looking to re-launch his ‘political brand’ in a bid to maintain his career. “I’m currently working on a press release declaring my support for trans rights,” he says. It’s understood he’s also purchased a burqa with plans to wear it during the working week.